Tracy says, Don't leave Shanghai without a stroll through the iconic match-making corner, or 'Marriage Market,' in People's Park every Sunday afternoon. With some 55,000 restaurants spreading across the city, Beijing's dining scene is buzzing, exciting and overwhelming. If you grow up with the stereotypical image of Chinese food in the West (which is mostly influenced by Cantonese food), the real Chinese food in the Chinese capital will come as bit of a shock, in a good way. Compared to southern park of China, Beijing cuisine uses more heavy meats, and instead of rice the main is largely made with flour, such as dumplings (try Xianlaoman), pancakes and noodles. Peking Duck is the absolute star for dinner. 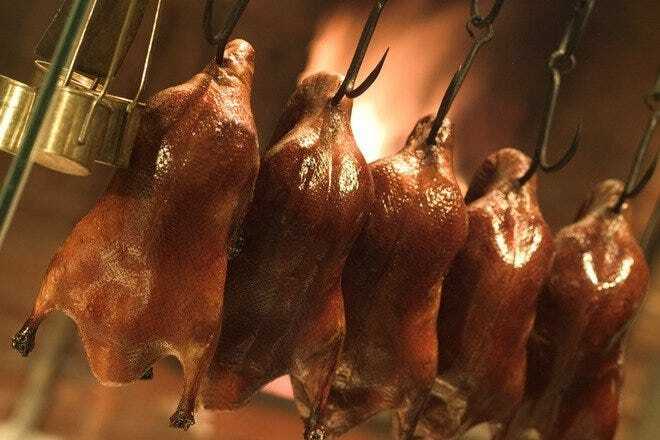 Special Beijing white ducks are first boiled in brine then roasted above hard date wood until golden brown. The skin is crispy and caramelized and the mean tender and moist. Traditionally, time-honoured brand Quanjude sits on top of the chart for enjoying this dish, but several restaurants,such as Da Dong, Duck du Chine and Made in China, have in recent years improved the classic fare to satisfy modern palettes. Sophisticated ingredients, demanding cooking skills, elaborate presentation and people's reminiscence of the past have helped Chinese imperial cuisine claw back to the capital's dinning table. Family Li is the best place to try the long-lost cuisine. The restaurant is run by the descendent of the once head of kitchen in the imperial Qing dynasty. Najia Xiaoguan also offer dishes that were favoured by the imperial aristocrats. 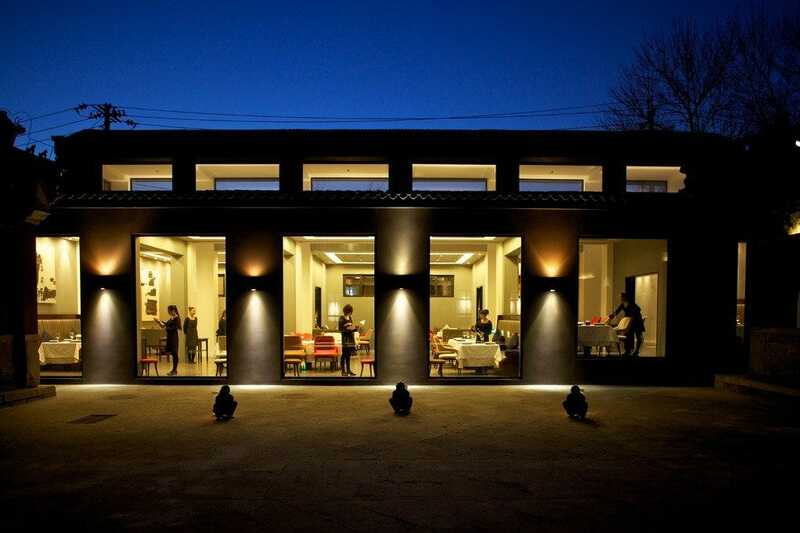 This two-story canteen is the dumpling emporium of Beijing. Its name translates as "fully loaded", and just as what it suggests, each juicy pocket is stuffed with hearty and delicious content. Choose from some 60 different fillings ranging from traditional pork and the leek, to extravagant seafood, to unusual mixed fruit. The restaurant sells 150 kilograms or roughly 1,500 pieces of dumplings everyday and it's almost impossible avoid the queue during lunch or dinner hours. 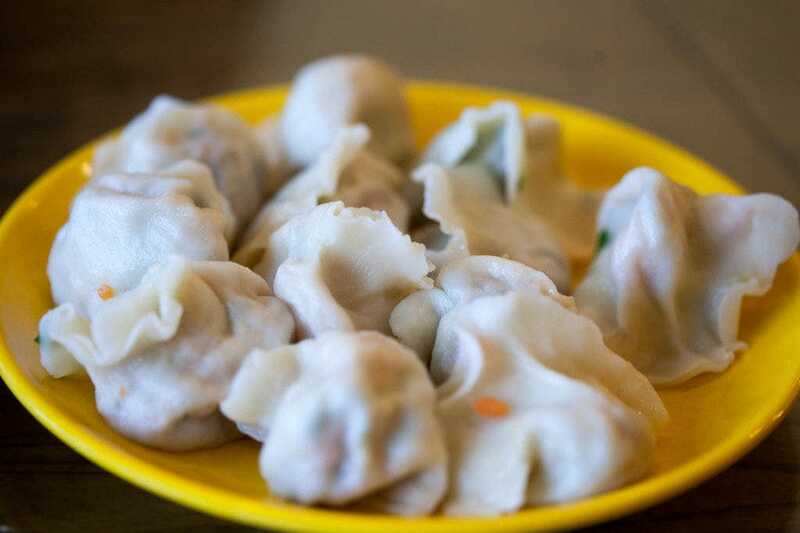 These delicious boiled dumplings are worth the wait. 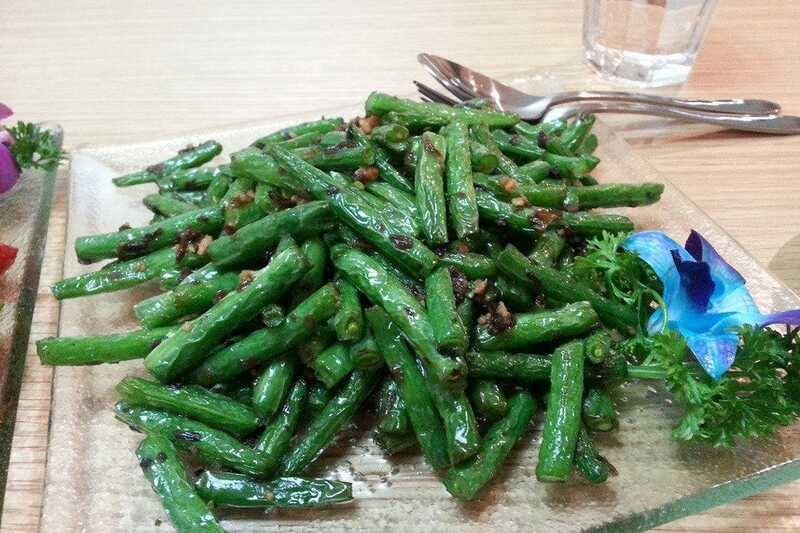 Dip them in vinegar, spicy oil or soy sauce and you're enjoying a most typical hearty Beijing meal. The restaurant also sells fried dumplings. Little is known to the outside world of China's delicious and innovative vegetarian cuisine. Gongdelin is a great place to go to enjoy it. 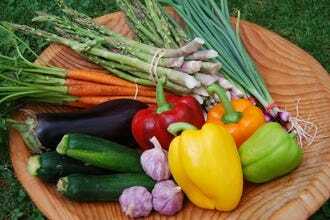 The time-honoured restaurant specializes in using vegetable to make dishes that look and taste like meat, a feature and selling point of vegetarian dishes in China. The chefs' skills and techniques are so spectacular that often times it's hard to believe that the delicious sweet and sour pork chop in front of you is made with lotus. The main ingredients here are different types of mushrooms, fungi and bean curd. Eye-opening dishes include kung pao chicken, which made with diced firm bean curd, peanuts and pepper, braised tofu-based king prawn and a mixed stir-fry called "eighteen luohan". 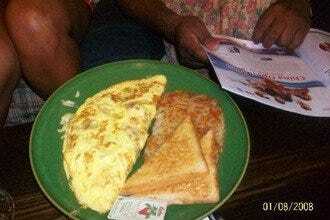 An average meal costs US13 per head. This fancy restaurant is one of the few establishments that ranks five out of five on Chinese food review website Dianping, the equivalent of Yelp in China, and is packed every night. Najia Xiaoguan serve traditional cuisine of Manchu, the ethnic group originated from northeast China who ran the last dynasty in the country. According to the restaurant, it cooks "Najia Cuisine", which originated in 1748 and features a collection of dishes that were favored by government officials and aristocrats at the time. Expect to see more heavy game meat here than in other Chinese restaurants, such as venison. The dining area is spacious and all the details is Chinese exquisite from tip to toe. If your per head bill is around RMB100 (USD16.5) then this is your top choice for elaborate food and plenty of character. 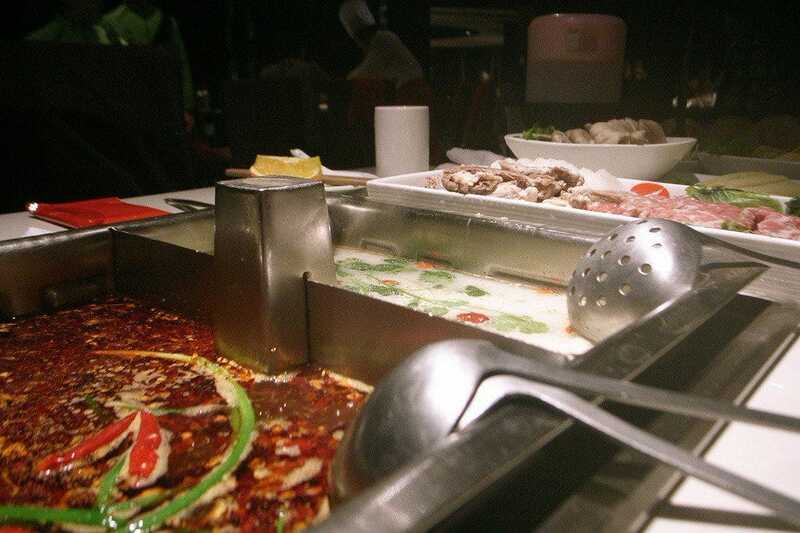 The modern and always-buzzing chain restaurant is probably the most popular hot pot brand among young people. Better yet, it opens around the clock. Haidilao is an aggregation of different hot pot styles in China – spiciness of Sichuan, nutrition of Guangdong and the generous portion of the north. Service and environment are exemplary – waiters and waitresses are smiley, helpful and patient and every customer gets an apron (and a lens-cleaning cloth for those wearing glasses) before dipping in. You can choose from a large selection of meats, seafood and vegetable to cook in a spicy or non-spicy broth. 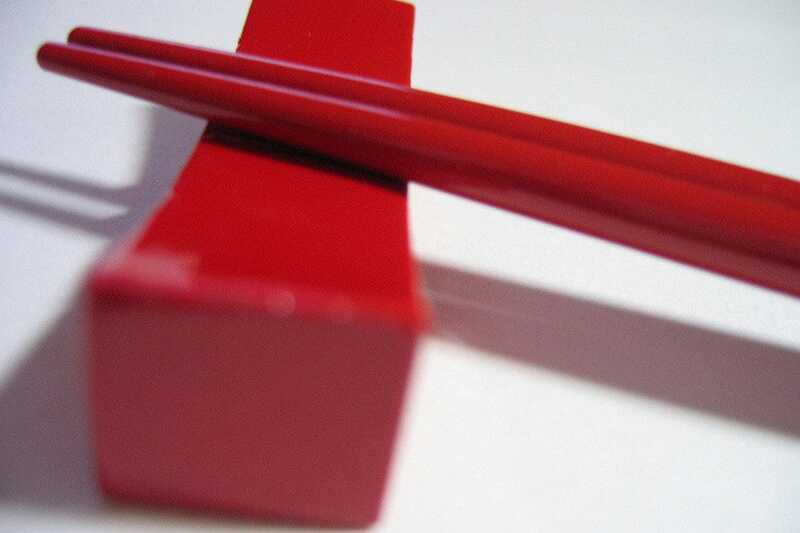 The laomian is a must order – a chef will hand-pull noodles in a "martial art" style next to your table. Tucked away in a buzzing alleyway steps away from the Forbidden City, this modern European restaurant blends Beijing's past and present in a smart and crowd-pleasing way. The sleek almost New York-style dining space is part of a revamped 600-year-old complex, which used to be a Tibetan temple and was later converted into a state-owned factory to produce Beijing's first TV sets. The restaurant is founded by Belgian restaurateur Ignace LeCleir, who had previously worked at Maison Boulud Beijing (now closed). Lunch comes in four set menus and features a comprehensive European cuisine ranging from German schnitzel to Italian bolognese. For dinner, the roast suckling pig and rice flaked crusted lobster are stellar. Or let the eight-course tasting menu sweep you off your feet. This elegant European restaurant forks over a selection of irresistible modern European dishes, such as crispy suckling pig and smoked salmon, together with probably the most iconic and impressive view among Beijing restaurants. This is the place to go to for impressing your bosses or giving yourself a treat during a jam-packed trip. Located on Qianmen Avenue, this is the Beijing outpost of Asia-based M Restaurants Group, which has run successful branches in Hong Kong and Shanghai. 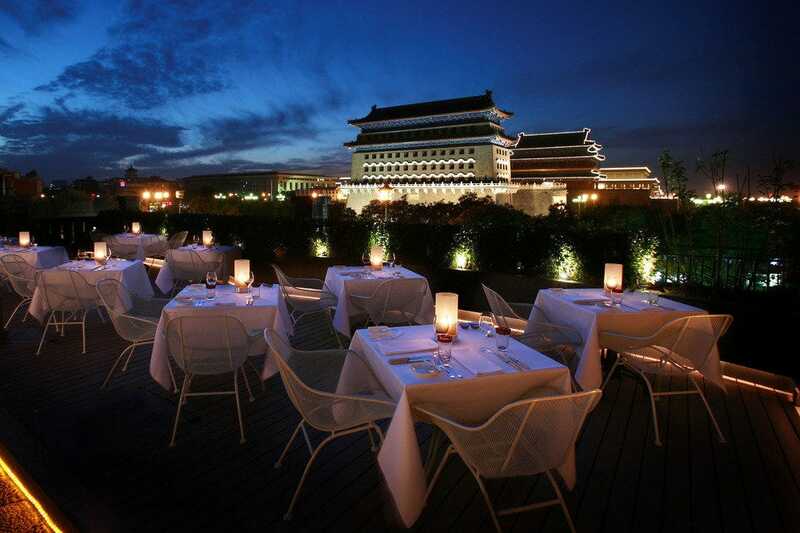 It's located just south of the Tian'anmen Square and boasts a view towards the formidable Zhengyangmen Fortress. The awe-inspiring fruit-laden pavlova is the most famous dish on the menu. This austere restaurant doesn't have a flashy sign (the door number 11 is the only way to track it), but it provides the most sophisticated and elaborate Chinese dishes you can imagine. It was founded by the Li Family, whose ancestors once headed the kitchen in Qing Dynasty for Empress Cixi. Legend has it that the Li Family memorized the invaluable family recipes in the 1970s before it got burned during the communist Cultural Revolution. Reservation is a must and there is no menu, a rule even Bill Clinton's entourage had to observe in 1998. Call to book the meal as early as possible then sit back to enjoy the Chinese emperor's taste. Signature dishes include jade tofu, which is made with green soybean, sliced Beijing-style smoked pork, deep-fried scallops and sweet and sour pork rib. No MSG is used by the Li Family. Located in a converted Communist-era factory complex, this upmarket restaurant puts a new spin on Peking Duck. The traditional dish is served with champagne as well as revolutionary fusion dishes, such as the appetizer duck liver. 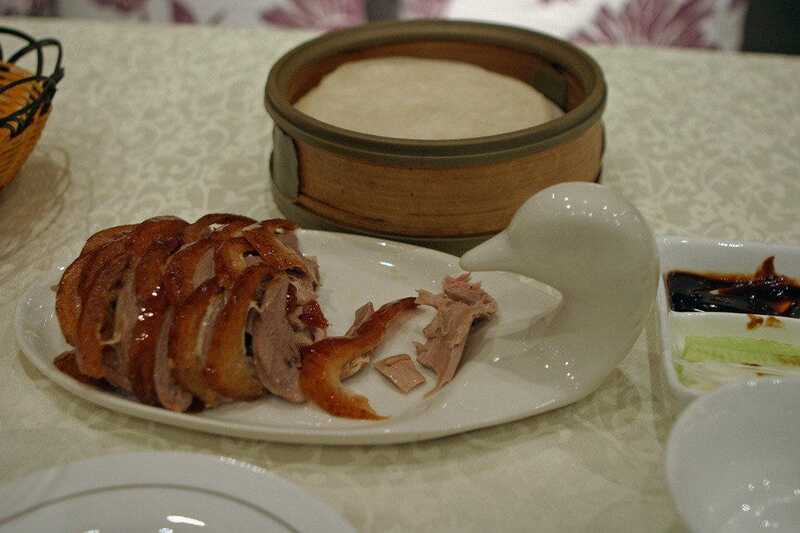 As one of the best Peking Duck restaurants in Beijing, Duck du Chine has come up with its unique recipe to delicious, which is to roast a 38 to 42-day-old hybrid of British Cherry Valley Duck and Beijing White Duck over Chinese date wood lugged from Shaanxi and Shanxi Province in the country. While the duck is carved next to your table, qipao-clad waitresses mix a special home-made dipping sauce to go along your dream dish. The rest of the menu is also strong. Must-try dishes include pumpkin infused with sour plum, lobster fried with XO sauce. Probably due to its Hong Kong management, the restaurant also offers stellar dim sum. The 126-seat Chinese restaurant in Grand Hyatt Beijing is an excellent place to hit for the city's specialty, roasted Peking Duck. In a glass-walled transparent kitchen, local white ducks are roasted in a traditional oven above hard date wood until golden and glazed. The chef then carve the fowl next to your table. 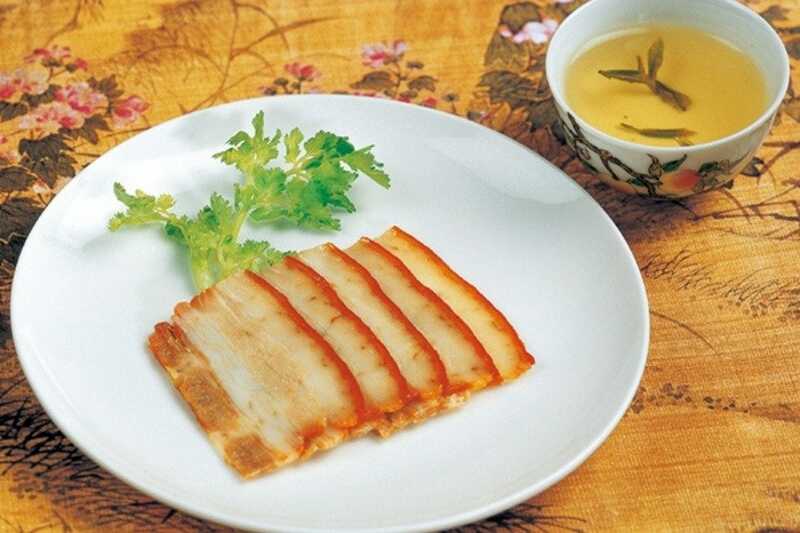 The crispy and caramelized skin is to be eaten with granulated sugar separately, and the chunks of the meat can be eaten on its own or wrapped into a pancake with shallot, cucumber and sweet soybean paste. The restaurant also offers a selection of top-notch dishes from around the country, including Beggar's Chiken, which is a roasted chicken wrapped in lotus leafs, the sweet and sour "squirrel" fish and the curious fried foie gras. A whole Peking Duck costs around $42 and the order needs to be placed two hours in advance to allow time for cooking. 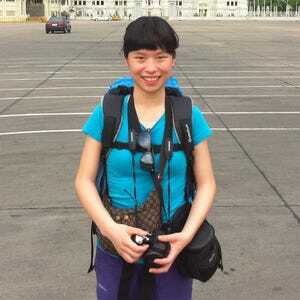 Tracy You Xiaoying is a bilingual journalist based in the United Kingdom. 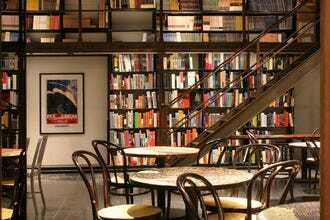 She writes culture, travel and lifestyle articles about China and Britain in English and Chinese.